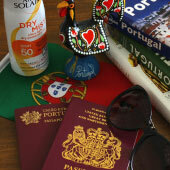 Sintra is a fascinating Portuguese town that makes for an enjoyable day trip from Lisbon or the coastal resort towns. The majority of tourists to Sintra spend just a single exploring the town, but there are sufficient tourist attractions to fill a second day of sightseeing. 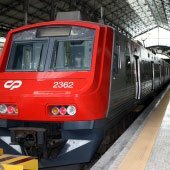 This guide will provide a suggested itinerary for a second day in Sintra, which follows on from our suggested 1-day tour of Sintra. 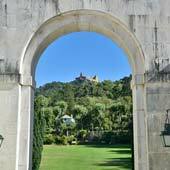 Related articles: 1 day in Sintra. Here is our suggested itinerary for a second day in Sintra, the highlight of the day trip will be the Quinta da Regaleira and its mystical grounds. 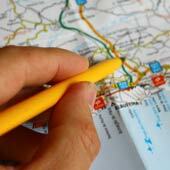 Note: This route is explained in-depth further on in this article. The first day in Sintra should visit the Palácio Nacional de Sintra, the Castelo dos Mouros and the Palácio Nacional da Pena. 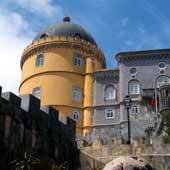 The highlight of the day will be the colourful Palácio da Pena. Sometimes, depending on tourist crowds, the Palácio Nacional de Sintra is replaced by the Quinta de Regaleira. All of these sights are connected by the 434 tourist bus. 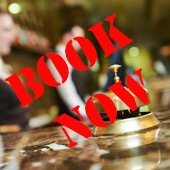 The majority of tourists at the end of the day return to their accommodation either in Lisbon or the Cascais coastline, but there are advantages of spending a night in Sintra. Sintra gets very busy during the day and in the evening the town dramatically quietens, making it a much more pleasant time to explore. Also starting sightseeing early in the day (before 10:30) avoids the crowds. 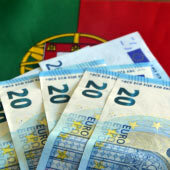 There is a range of excellent hotels in Sintra, and they tend to be charming or historic buildings. The second day in Sintra visits the monuments which are to the west of the town, and are the Quinta da Regaleira, the Palácio de Seteais and the Palácio de Monserrate. These tourist attractions are significantly quieter than the attractions of the first day. 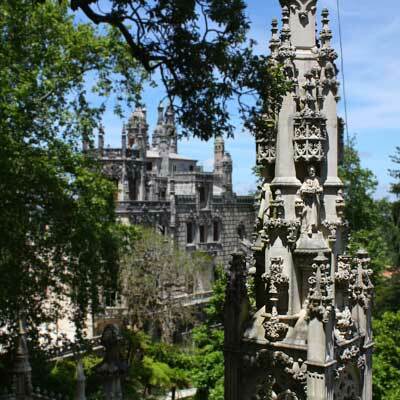 The highlight of the day trip will be the Quinta da Regaleira and the mansion’s fascinating grounds, and you should plan to spend the most time at this attraction. The decorative Palácio de Monserrate requires about an hour to explore; this can be longer for the formal gardens. The Palácio de Seteais can be seen within 30 minutes, as it has transformed into a luxurious hotel. 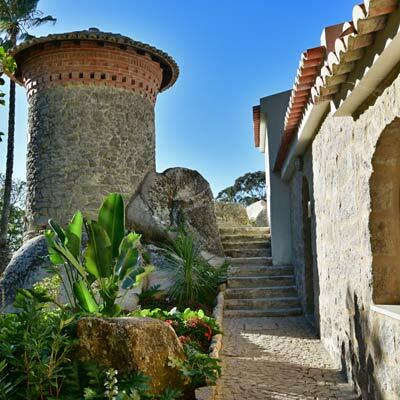 The day trip can be extended by exploring the forested grounds of the Vila Sassetti and hiking up to the Penedo da Amizade, a series of rock-climbing cliffs. Similar to the first day, lunch is recommended to be taken while in the historic centre, as this is the area with the widest selection of restaurants and cafes. 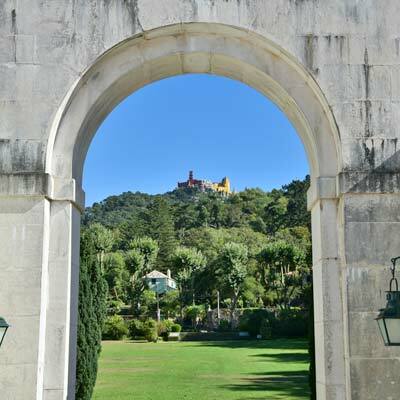 The Palácio de Monserrate is 3km to the west of the historic centre of Sintra, while the train station is 1.5km to the east of the Sintra. 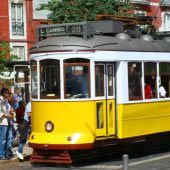 Note: The Quinta da Regaleira and the Palácio de Seteais are very close to the historic centre and can be easily walked to. 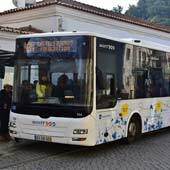 The bus service is needed to travel from the station to the historic centre, and then on to the Palácio de Monserrate. The Quinta da Regaleira is an extravagant neo-gothic mansion, that was constructed in 1910 by Carvalho Monteiro, an eccentric millionaire who made his wealth in Brazil exporting coffee. Carvalho was fascinated by secret cults and mysticism, and filled the densely forests grounds of his mansion with symbolic religious icons. 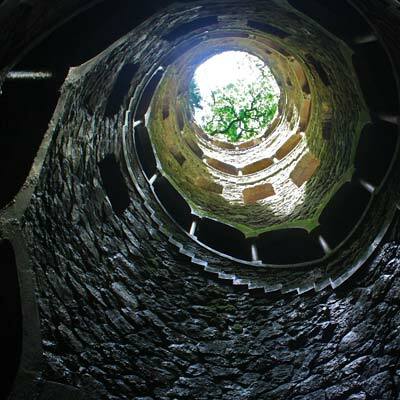 This includes the 27m deep Initiation Well (Poço Iniciático), which was used for Knights Templar or Tarot initiation rites. 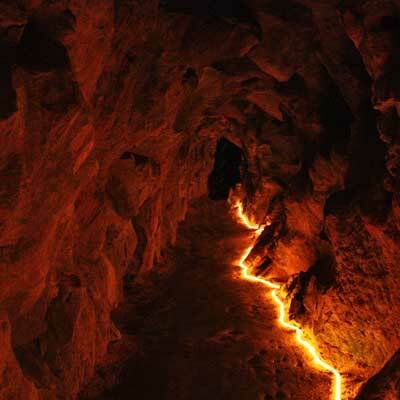 Below the grounds are a series of grottos and passages, which symbolise a hidden underworld, and there is even a cave entrance concealed behind a waterfall. The exterior of the mansion is equally as intriguing, with creepy gargoyles, ornate pinnacles and over the top gothic architecture. 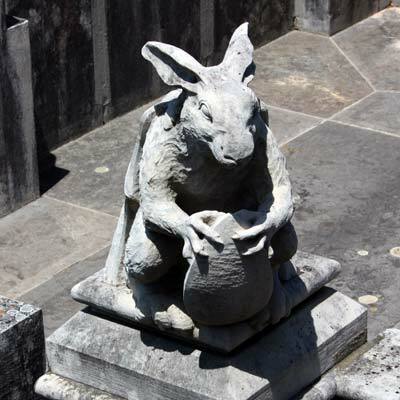 There is a lot to see within the Quinta da Regaleira, and it is one of the best monuments within Sintra. Note: On the opposite side of the road to the Quinta da Regaleira is the Quinta do Relogio, which was purchased in 2017 by the popstar Madonna. This stately home is no longer open to the public…. 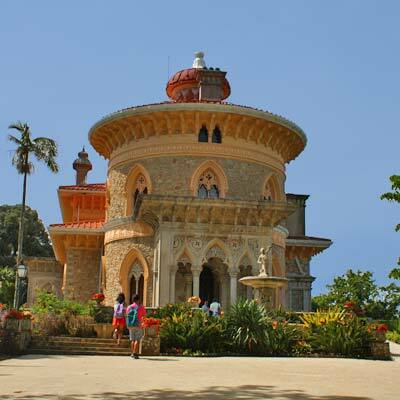 The Palácio de Monserrate was constructed in 1866 by Francis Cook, (who at that time was one of the richest people in England) as a summer residence for his family. 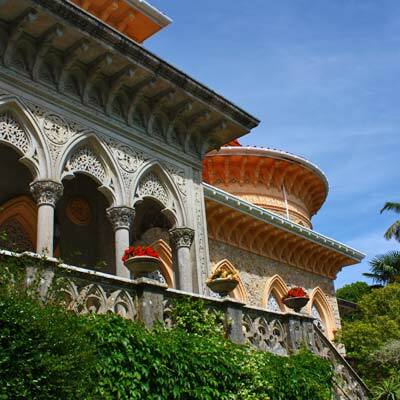 The beautiful mansion combines the Romanticism style of architecture found throughout Sintra, with strong influences of Islamic art and design. This unique fusion of design styles was in part due to Francis Cook’s travels as a merchant through the Middle East. 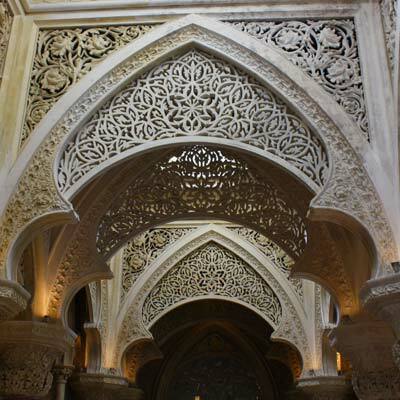 Inside the mansion, there is incredibly fine latticework, forming geometric patterns and perfect symmetry, one of the key ideals of early Islamic design. 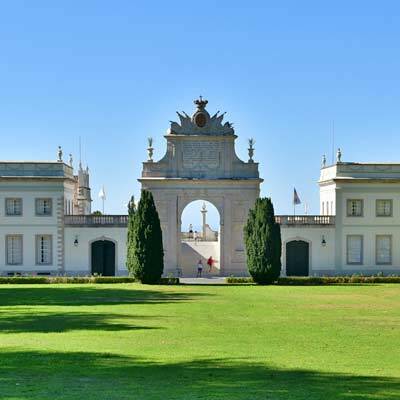 Surrounding the Palácio de Monserrate are formal gardens, rose gardens and one of the best lawns in Portugal! 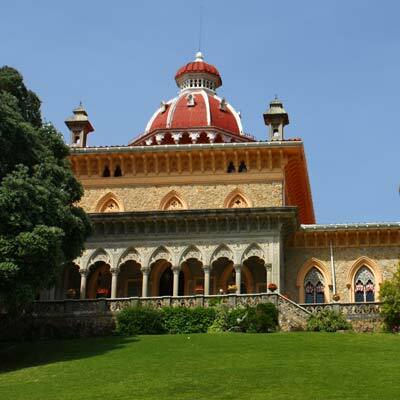 For tourists, the Palácio de Monserrate is always significantly quieter than the other monuments of Sintra, and the tranquil setting is a relief from the crowds of coach tourists. The Palácio de Seteais was constructed in1785 by Daniel Gildemeester, a Dutch consul. 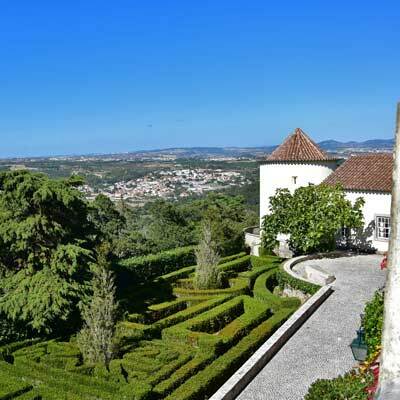 He selected this location, as to the rear of the gardens are some of the best views over the Sintra region. 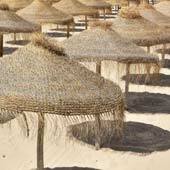 The palace was expanded by successive owners and today the neoclassical building is an exclusive hotel. Tourists are allowed to wander to the formal gardens or have a drink in one of the sumptuous staterooms. The Vila Sassetti dates from 1890 and was inspired by the castles of northern Italy. The mansion is not open to the public, as it is undergoing restoration work, but the grounds are open to explore. These grounds include the hiking trail up to the Penedo da Amizade, a 45m sheer granite cliff, which is popular for rock climbing.